is not about some “sensationalistic” overview of the “creepy”, instead it is a solid resource for those seeking to vanquish the ordinary means in which evil disrupts and damages our spiritual lives. Highly recommended, I’ve passed this book along to many. In some ways, it’s easy to believe in a devil who makes heads spin round and enables people to levitate. Ubiquitous movies and books about possession and exorcism have trained spiritual seekers to identify evil by its expected Hollywood conventions. By contrast, Rev. 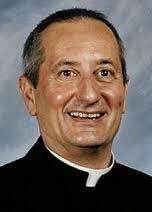 Louis J. Cameli, nationally renowned pastoral leader and priest of the Archdiocese of Chicago, paints a challenging, unsettling portrait of the devil as a formidable adversary who works great harm, often in quiet, less-seen ways. While remaining a fixture of popular culture, the devil has–until now–been largely ignored in contemporary spiritual writing. 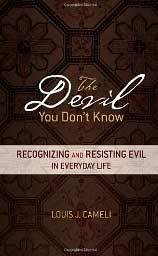 Cameli exposes the devil’s tactics of deception, division, diversion, and discouragement, in individuals and also in institutions. This thoroughly biblical, deft exploration considers the personal and social dimensions of sin, and offers both enlightenment and hope in the power of Christ at work to overcome evil. POA6 – “Know your Weapons” pt. 1 – Put On The Armor – A Manual for Spiritual Warfare w/Dr. Paul Thigpen Ph.D.